Still working out how to do this! 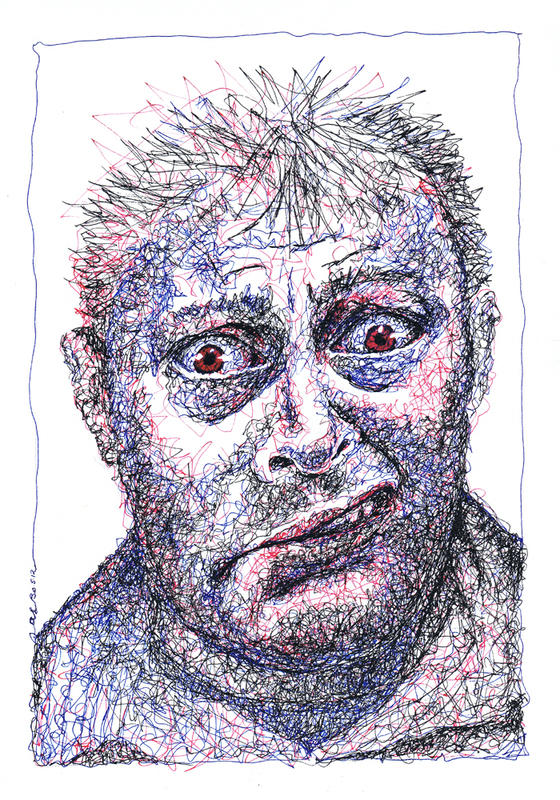 This entry was posted in drawing, portraits and tagged dip pen, ink, portrait, scribble, scumble, stop motion, timelapse. Bookmark the permalink. Very cool! I like the layered colors in the face, particularly around the mouth. Great post. Thanks Aaron the Ogre – I had fun doing it! Although drawing around the tripod legs proved surprisingly tricky; I’m going to work on a more cunning plan for next time I film something.